Coming soon from VAGRANT PRESS! A woman becomes obsessed with a story about her family from 1890—when a naked, mute girl stumbled onto their property—and whether or not it really happened. A self-help guru and his chief strategist take their most affluent and unstable clients on a harrowing nature hike that destroys their company. A young convict in a prison creative writing class chronicles the rise and fall of his cellblock’s resident peacemaker. A rural neighbourhood is mesmerized by the coming of a strange and powerful new homeowner who is in the middle of reinventing herself. 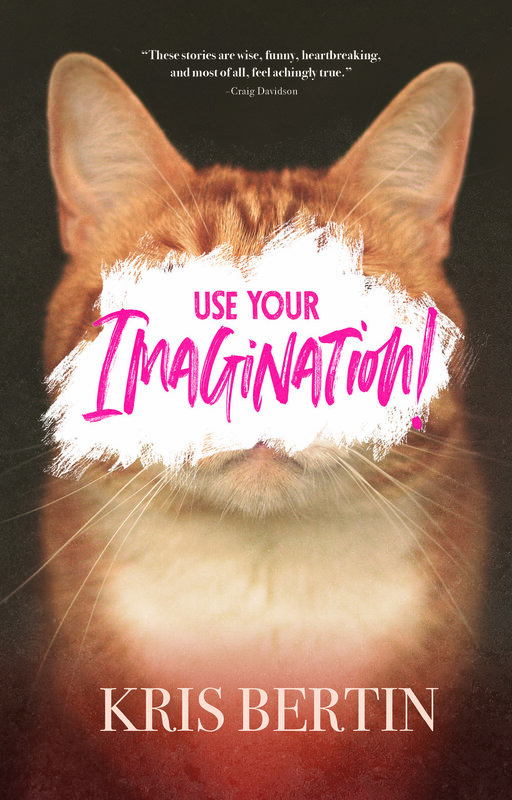 The stories of Use Your Imagination! are about stories, about the way we define and give shape to ourselves through all kinds of narratives, true or not. Sometimes funny, strange, or frightening, these stories represent Bertin’s follow-up to his critically acclaimed, award-winning debut, Bad Things Happen. "The volume is designed to look like part of a Hardy Boys or Nancy Drew series, but each new clue the kids discover only makes the mystery deeper and more threatening. The script by Bertin, previously known for literary fiction, deserves the most credit for creating a temptingly-comfy, suddenly-ominous mood, but Forbes’s illustrations are marvelously effective, too [...] It’s an exceptional, odd mystery." 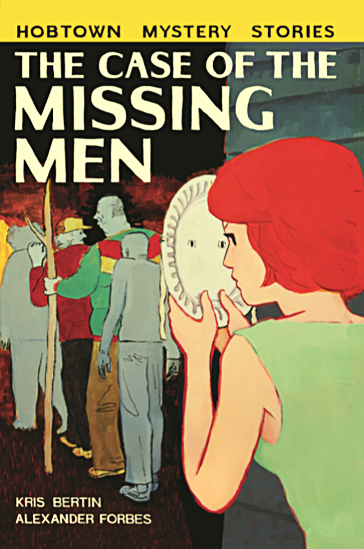 The Case of The Missing Men follows a gang of teens who have made it their business to investigate any mysterious happenings in their rural N.S. town as part of a registered after-school program. Their world of missing pets and shed fires is turned upside down when real-life kid adventurer Sam Finch arrives in town, enlisting them in their first real case—the search for his missing father. Their investigation leads them to discover a hidden world beneath their sunny town, full of secret societies, weird-but-true folk mythology, subterranean lairs, and an occultist who can turn men into dogs! Click HERE to see inside, or ORDER NOW! CLICK to ORDER from BIBLIOASIS!